Ribchester Roman Museum is located in the picturesque village of Ribchester which is set in the beautiful countryside of the Ribble Valley. The museum was built above the remains of the headquarters building of the Roman Fort in 1914, and opened to the public the following year. The Roman fort at Ribchester, called 'Bremetennacum veteranorum', was established during the late first century AD. A thriving civilian settlement, or 'vicus', quickly developed outside the fort. 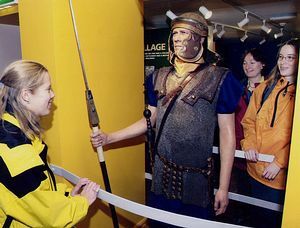 The fort was important strategically and located to ensure that the River Ribble and the main Roman roads passing through Ribchester were carefully guarded. A garrison of 500 auxiliary cavalrymen was undertake these objectives. The first contingent were Asturians from northern Spain. A unit of Sarmatian cavalry, levied from the area that is now modern day Hungary, replaced them sometime after AD 175. Ribchester Roman Museum re-opened in October 2002 following the completion of a major Lottery and European funded improvement scheme. The displays delve into the Prehistoric past and are illustrated by wonderful objects like the amazingly well preserved Bronze Age sword and Iron Age brooches and carvings. 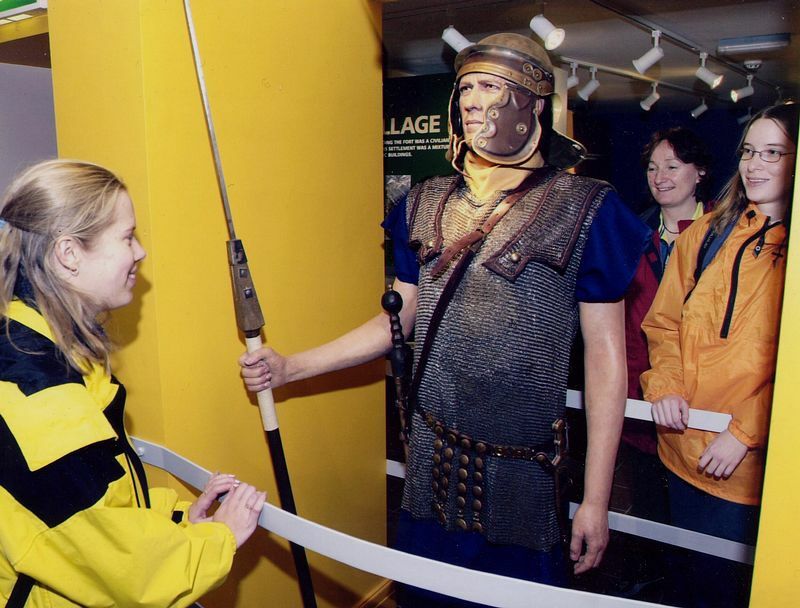 Roman Ribchester is brought to life by dramatic displays, which contain a life size cavalryman, Roman legionary and exciting interactive exhibits. Columns have been erected for the first time in 2000 years and there are wonderful objects, including weaponry, jewellery and leatherwork, which havenever been seen before, alongside favourites like the replica of the Ribchester Parade Helmet and the impressive sculpture of a cavalryman riding down his Celtic adversary. Also open to visitors are external remains of the Roman granaries that have been made more accessible with a new path and interpretative panel. A section of the northwest rampart and defensive ditch can also be seen along the footpath leading to the public car park. Ruins of the Roman bath houses are visible near the White Bull Pub (open from Easter until the end of October). Lancashire County Council administers these remains and admission is free of charge. The museum organises school and adult party visits, including evening tours, throughout the year. Prior booking is essential. For more information please contact the curator. The Museum Trust presents exciting new exhibitions every year during the summer months. The Museum has a small but well stocked sales point supplying souvenirs, books and educational materials.